In North America we do not have a problem with pet overpopulation, stray animals, nuisance or vicious animals – we have a problem with responsible pet ownership. Virtually every animal that ends up in a shelter or on the street is there because a human relationship failed them…It’s always the animal that pays in the end. Bill Bruce, Director of Calgary Animal and Bylaw Services attacks the problem head-on with a three-pronged approach to responsible pet ownership, incorporating licensing, public education and enforcement, with supporting agencies all working together to achieve the same goals. As long as owners license their pets, have them spayed or neutered, take proper care of them and ensure they don’t show signs of aggression, such as charging or excessive barking, they won’t have to deal with Bill. His mission is “To encourage a safe, healthy, vibrant community for people and pets through the development, education, and compliance of bylaws that reflect community values”. It is clear that Calgarians are now strongly behind Bill’s fair treatment and service value as the community is engaged and funding is in place. The citizen satisfaction rate is 91%, second only to the Fire Department. Calgary, when it comes to animal control, is the envy of the continent. All dogs and cats 3 months or older require a license. Fees are reasonable but there is a fine for unlicensed animals. A free 6-month license is provided for all adopted dogs and cats. Media campaigns have sent the message that “My license is my ticket home”. The program allows Animal Services to identify that a lost animal has a caregiver and that animal is just one phone call away from going home. If a pet is picked up at-large and is licensed, it is not dropped off at the shelter to await discovery by its owner. The Animal Services Officer has a laptop in the truck with a direct link to the licensing database, a cell phone & a GPS, allowing the owner to be contacted and the animal to be taken directly home without ever setting foot in the shelter. The pet that goes directly home does not cost Animal Services in time or resources. It is an animal that does not bring disease to or catch disease within the facility. Only if an owner cannot be located is the animal taken to Animal Services. The city now boasts a licensing compliance rate for dogs of 92% as of June 2009, a return to owner rate of 85% and a euthanasia rate of only 6%. A newly implemented licensing program for cats already has a licensing compliance rate of 54%, a return to owner rate of 56% and an 18% euthanasia rate. A majority of those animals being euthanized are for behavioural issues and poor health or injuries. Had these cats been microchipped, tattooed, or licensed, they could have been returned to their owners. 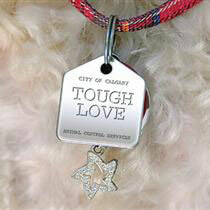 Calgary has the highest return-to-owner and lowest pet euthanasia rates on the continent. Aggressive animal incidents are almost non-existent. Over the past 18 years, the city of Calgary has cut their number of dog bites and chases by more than 50% (all the while, the human and dog population of Calgary has doubled). Education is another key component of Bill’s approach. It raises awareness, removes misconceptions, changes behaviour and helps prevent problems before they happen. Calgarians have become voluntary partners in compliance. Educational programs revolve around responsible citizenship and pet ownership including licensing and spaying/neutering. No-cost interactive education starts in schools as early as Grade 1, with a “Dogs in Our Society” program which focuses on pet ownership and safety. Other programs include “PAWS Dog Bite Prevention”, “Urban Coyotes”, “Freedom City” (about bylaws and safety), “Junior Bylaw Project” and “Think Responsibly” (a general safety program). 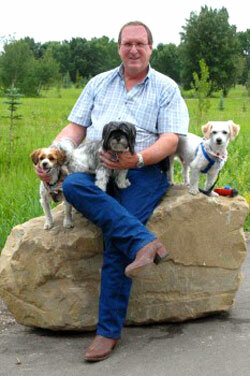 Calgary also supports off-leash areas for dogs, recognizing that they are important for socialization. In off-leash areas, dogs must be licensed and under control at all times. Owners must pick up after their dog, and dogs must not threaten people, other animals or wildlife. In addition, Calgary has no limit laws, no breed specific laws, no mandatory spay/neuter ordinances and no interference from animals rights groups. Calgary’s bylaw officers have taken a stand against breed banning, and responded to dog bite concerns with a tougher licensing program and stronger enforcement. The City of Calgary also spends considerable funds on dog safety public awareness and education campaigns. Research shows that just 1 hour of dog safety training in grades 2 and 3 can reduce these attacks by 80%. Bill measures the success of these programs by looking at intake numbers, return-to-owner rates, aggressive animal incidents, euthanasia rates (and a breakdown of causes), percent of animals licensed, number of bylaw infractions charged, and financial performance. Overall, he reports a decrease intake, aggressive animal numbers, bylaw infractions and euthanasia. The other measures enjoy positive increase. Bill’s objective, to have no more homeless pets in Calgary within five years, also hinges on new initiatives like subsidized spay/neuter (funded by cat licensing), increased licensing including a possible lifetime license with microchip program, and an increase in the Drive Home program. This entry was posted in Animals, culture, law, politics and tagged Animal Control, animal licensing, animal shelter, Bill Bruce, breed-specific legislation, Calgary Animal Services, dog bite prevention, Nathan Winograd, no-kill, pet limit laws. Bookmark the permalink. I know this isn’t directly related, but I was wondering if you know what other cities have similar by-laws or cities that dont have a limit on the number of dogs. We have several dogs and look to be moving away from the horrible Animal Control of our city and were wondering what cities have similar laws (as they’re fantastic), or don’t have a limit on the number of pets. Our dogs are all Fixed with shots, but animal control wants to take them away because we “have too many”. Robin? Check out the Bless the Bullies web page for lots in information on dog friendly places. I know they keep updated lists on breed bans. BTW; Another great blog from redstarcafe. Love this! Wonderful way to deal with animal welfare. As a vet in Victoria in Australia I am appalled that we have a state government that has taken the failed and backward option of BSL. They rely purely on an appearance based assessment, and if not euthinased the animals are caged in their owners yards, isolated from society, such that they become anxious when exposed to life outside and become the exact “monsters” that our so called govt is protecting us from. How do we get them to see sense? Great to see, refreshing news as to making humans responsible for their pets. I say bring it on, it’s the answer her in Australia to the stray unwanted pet population. I take my hat of the people involved in this strategy, well done!! I applaud Calgary for doing such a wonderful job. However, the only thing that I do disagree with is the spay/neutering. Unless one is planning to breed their dog (not backyard, puppy mill make a quick $$$), then i firmly believe in spaying and neutering. Every one of the rescues that I have had over the years, whether dogs or cats, have always been neutered/spayed. Accidents do happen and with all of the unwanted pets now, accidents don’t need to happen. Irresponsible pet owners will always be irresponsible but those who aren’t will always do the right thing. we are located in Montreal québec, we work closely with bill bruce. we are updating our website and would like to use the picture of bill with the 3 dogs since he retired we cannot use the ones where bill is in uniform. Hi Johanne, I just pulled that Bill Bruce image off the web so I have no copyright on it.